You’ve strictly adhered to a rigid diet, nibbled on countless carrots and ratcheted up the intensity of your workout routine… You deserve a cheat day, right? Wrong. A cheat day or cheat meal often comes hand-in-hand with an overwhelming amount of guilt that can lead to binge eating. Junk food and sweets also have addictive physiological properties. The influx of dopamine that accompanies a cheat meal will inevitably cause cravings and temptations when you’re trying to eat healthy later on. After a cheat day, it can be difficult to motivate yourself to continue prioritizing healthy eating practices. To keep you from derailing your dietary plans, we’ve compiled four simple tactics that will allow you to occasionally enjoy treats you love while still staying trim. Arguably the most detrimental aspect of cheat days is their damaging effect on your overall outlook. In order to achieve your long-term goals, you need to end your dieting mindset and start embracing lifestyle change. Cheat days reinforce the flawed perception that you’ve been depriving yourself of satisfaction by abstaining from treats. Instead, put effort into enjoying the diversity of delicious tastes healthy meals provide—it won’t be long before you’re craving greens rather than sweets. Skeptical? As your body adjusts to a healthier lifestyle, your metabolic hormones will eventually start pining for the nutrient-rich food you’re providing it. Losing weight is simple in theory—just burn more calories each day than you take in. However, actually achieving this calorie deficit requires strategic thinking. By keeping a detailed plan (preferably on paper) of your calorie intake, you can add flexibility in your daily diet to allow for the occasional piece of chocolate cake. Try eating a healthier, subdued breakfast and lunch if you know you will splurge at dinner. There’s no need to kick yourself—one cup of ice cream won’t make you fat. No food has to be forbidden or withheld completely from your diet. 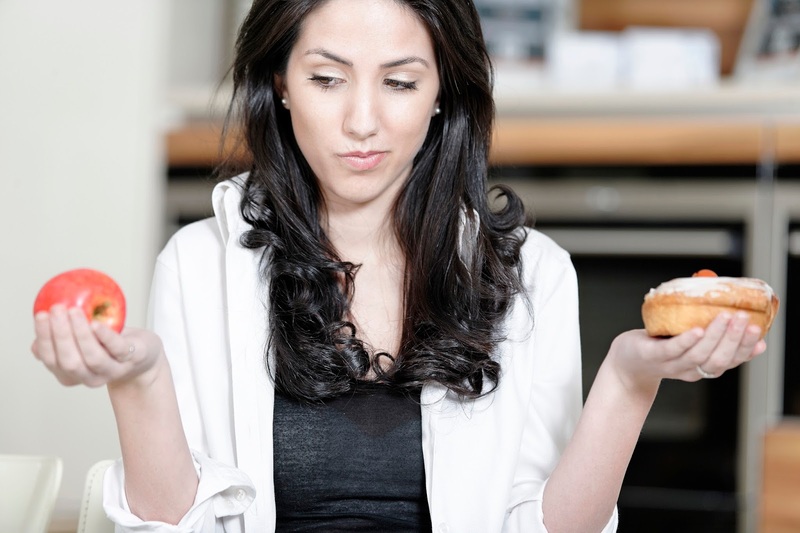 An important facet of weight loss is enjoying your cravings responsibly to stop binge eating. By indulging minimally throughout the week rather than all at once, you make your lifestyle change more gradual and make the entire process less miserable. Splurging with small portions of a treat can cull cravings and allow you to regain focus for the rest of the day. While you need to be in a calorie deficit for the majority of the week, try upping your portion sizes for a day to reach a healthy calorie maintenance level. The difference between this approach and cheating is that you don’t excessively over-indulge—quit eating when you max out at your daily calorie allowance. By giving your body a brief break from your lower-calorie intake, you’ll store up extra energy to get you through the rest of the week. While eliminating the dreadful cheat day cycle may seem daunting, it’s entirely possible when you shift your mentality, count calories and indulge in moderation. Comment below if you’ve discovered any more helpful tips to curb unhealthy cravings and unnecessary eating!